Preheat oven to 325°. Place ham on a rack in a shallow roasting pan. Using a sharp knife, score surface of ham with 1/4-in.-deep cuts in a diamond pattern. Cover and bake 1-3/4 to 2-1/4 hours or until a thermometer reads 130°. Meanwhile, place remaining ingredients in a food processor; process until blended. Remove ham from oven. Increase oven setting to 425°. Spread apricot mixture over ham. 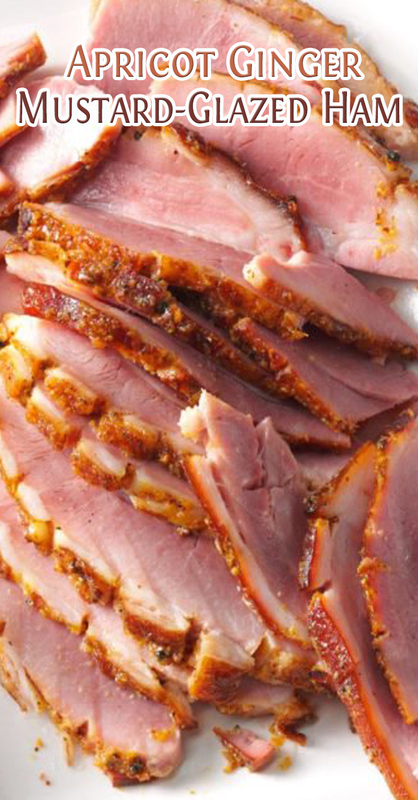 Bake ham, uncovered, 15-20 minutes longer or until a thermometer reads 140°. If desired, increase oven setting to broil; broil 2-4 minutes or until golden brown.